Being part of Myers and Sons Construction means something. Myers is a rapidly growing, highly diversified construction company, and we are constantly seeking top notch union members, engineers and businesspeople to join our industry-leading team. We are committed to recruiting, retaining and rewarding the best people in the industry because, at the end of the day, people are the greatest resource. We provide our employees with competitive salaries, opportunities for advancement, and diverse and challenging careers. Myers and Sons Construction offers competitive wages and benefits. We are always looking for qualified candidates with experience in our type of work. Myers and Sons Construction is a union contractor signatory to multiple trades throughout California. This trades include Carpenters, Cement Masons, Laborers, Operating Engineers and Pile Drivers. If you are a union employee and would like to work on one of our many jobs throughout California and beyond, please visit our careers website. Additionally you can stop by our office in Sacramento, CA to complete an application for employment. Applicants must be authorized to work in the United States. We are currently seeking a Project Manager to help manage a Three Hundred Million Dollar Progressive Design Build project at Los Angeles International Airport. This person will manage multiple projects under this contract from design, preconstruction, construction and project closeout. This person will work closely with Senior Management to ensure that the project is managed correctly and the work is performed in an efficient manner. This project is a utility and roadway focused project. Required Experience: Must have 7 years or more of experience working on Heavy Civil or Utility Projects as a Project Manager or Engineer. Preferred Background: An Engineering or Construction Management degree. A minimum of 2+ years of experience in construction or equivalent combination of education and experience. Flexible availability to include overtime and possible weekends. We are currently looking for a Project Accountant for their office in Los Angeles, CA. The Project Accountant position is responsible for all facets of project and contract financial management. The focus of the project accountant is to assist the Project Manager with the non-technical management of a project, emphasizing project financial health. This includes, but is not limited to, client invoicing, collections management, project review, ensuring accurate contract documentation, contract monitoring and maintenance including budget and funding entry and contract administration during various stages of a contract life cycle. This position requires a hands-on team player who assists multiple Project Managers and staff to ensure compliance with contractual requirements and policies and procedures. Accurate and timely performance and strong multi-tasking skills are essential. •Obtain Pay Estimates from Owner / Project Manager monthly and enter into Viewpoint •Creation of accurate invoices in compliance with contract terms. •Work closely with multiple Project Managers and project teams Attend 0% Management Reviews, kick-off and team meetings as necessary •Request and verify subcontractor meets insurance requirements. Log, maintain and monitor insurance certificates, lien releases, union status letters and certified payroll •Monitoring weekly and monthly project expenditure. •Coding and assisting AP for routing sub and supplier invoices for PM approval •Provide effective verbal and written correspondence with PM’s, Subs and Suppliers providing financial details and provide formal pro-active written documentation for sub outstanding items ensuring timely release of sub consultant and supplier invoices for payment •Analyze & notify PM of outstanding AR issues •Perform research and provide necessary data for PM, DM and others regarding project financial status, which includes fee/budget, change orders, extra work bills, and accounts receivable. •Manage fee & budget updates as a result of work/scope changes & contract amendments / change orders and extra work bills •Request & assist PM in entering percent completes to monitor project progress. •Participate in on-demand project / cost reviews to discuss project status and provide financial information and support for project / cost reviews •Document control, development and tracking of sub and supplier AP logs, action items, •Confirm final billing is complete, re-budget project (if necessary) and place project(s) on Hold •Prepare Project Closeout Form, secure PM signature & provide executed Form to Accounting Manager •Perform various specialized accounting functions of moderate complexity and ensure that procedures and practices are followed in accordance with company policy, accounting principles, sox guidelines and contractual obligations. •Minimum 5+ year’s previous accounting experience. •Proficiency with MS Office products including Excel, Word and Outlook. •Highly energetic, detail-oriented individual with strong organizational skills. •An attitude and commitment to being an active participant to our culture is a must. •Construction Project Accounting highly desired. We are currently looking for a heavy civil estimator for LAX Progressive Design Build Project Team. We are looking for a person that is capable of thinking outside the box, understands multi staged construction projects, is detailed oriented with experience heavy highway construction, preferably with underground, roadway, and utility estimating experience. * Provide full estimating services on multipule complex heavy civil construction projects. * Preparation of project estimates to ensure all factors are properly considered, priced, and included in the estimate summary. * Site visits and investigations. * Researching of services for methods, costs and construction techniques. * Strong organizational, interpersonal skills. Myers & Sons Construction, is a Heavy Civil Construction Company. Myers and Sons specializes in, Water/Wastewater Plant Construction and Heavy Highway Construction, including Alternative Delivery Projects, such Design Build, Progressive Design Build, CMGC and CMAR throughout California, Colorado and the United States. Myers and Sons Construction is currently seeking a project engineer to work on a Treatment Plant project in Valencia, CA. This person will work closely with the project manager, project owner, as well as Myers and Sons’ internal staff to complete projects in a timely and effective manner. This person must be self-motivated and willing to learn all aspects of the project, including scheduling in both preconstruction and construction, coordinating suppliers and subcontractors, submittals, RFI’s, change orders, layout, survey and quality assurance. At Myers and Sons Construction every day is different and as a Project Engineer you be exposed every facet of construction, allowing you to grow your knowledge base and advance your career at a rapid pace. The work consists of construction of five (5) closed-vessel UV chambers and appurtenant electrical systems, flow diversion structure, UV feed wet well/pump station, electrical building, junction structures, tertiary effluent piping, UV influent and effluent piping, and recycled water piping, modifications to the existing chlorine contact tanks, modifications to the sodium hypochlorite, ammonia, sodium bisulfite, washwater and sampling systems, and tie-in to the existing plant electrical power distribution and control systems, and all appurtenant work. Myers and Sons Construction is a heavy civil construction company located in California. 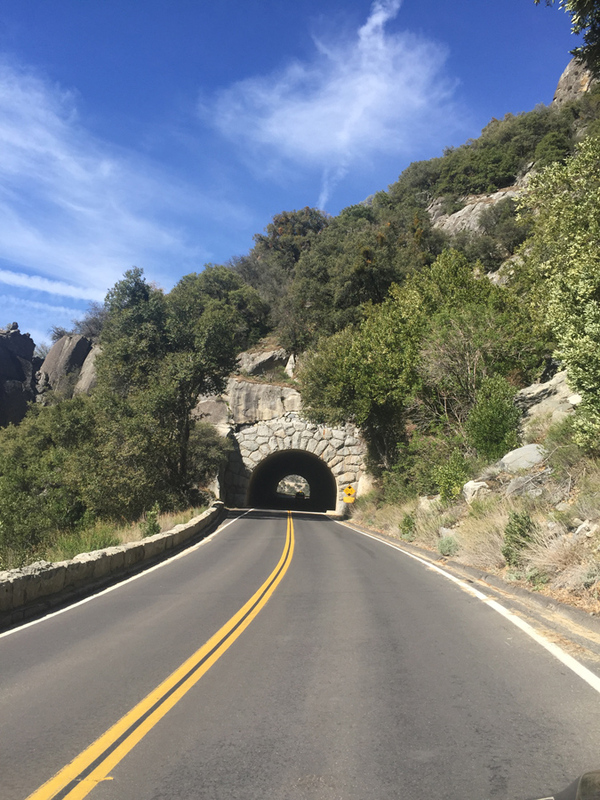 The company focuses on Heavy Civil Construction, including Water / Wastewater Treatment Plants, Bridges, concrete overlays, concrete paving, pump stations as well as other concrete related projects and both for Caltrans and other public agencies. Myers and Sons Construction was founded and is managed by C.C. Myers. Myers and Sons is also part of the Sterling Construction Company group of families. We are currently seeking a Project Manager to manage a Treatment Plant project in Northern California. This person will work closely with the Superintendent and Senior Management to ensure that the project is managed correctly and the work is performed in an efficient manner. This person must have an understanding of treatment plant construction. Must have 5 years or more of experience working on Heavy Civil or Treatment Plant Projects as a Project Manager or Engineer. A Civil Engineering or Construction Management degree. A licensed Professional Engineer or Engineer in Training. Experience with Primavera, Viewpoint or Heavy Job software is a plus. Competitive salary depending on experience. Cost-of-living adjustments and/or relocation assistance may be provided. We are currently seeking a Project Manager to manage a Treatment Plant project in Southern California. This person will work closely with the Superintendent and Senior Management to ensure that the project is managed correctly and the work is performed in an efficient manner. This person must have an understanding of treatment plant construction. We are looking for a Safety Specialist for our job at LAX airport in Los Angeles. This position works under general supervision, conducts safety audits and inspections, and evaluates and ensures improvement for job site safety. Usually will be assigned to a large projects or several smaller projects within a region or division. Works with the Superintendents and Project Managers to administer, direct, and implement compliance with the Corporate Safety and Health policies and procedures to ensure the achievement of Company standard operating procedures and goals for Safety and Health. 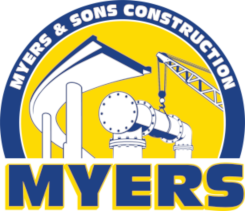 Myers and Sons Construction is currently seeking a project engineer to work on a Treatment Plant project in San Rafael, CA. This person will work closely with the project manager, project owner, as well as Myers and Sons’ internal staff to complete projects in a timely and effective manner. This person must be self-motivated and willing to learn all aspects of the project, including scheduling in both preconstruction and construction, coordinating suppliers and subcontractors, submittals, RFI’s, change orders, layout, survey and quality assurance. At Myers and Sons Construction every day is different and as a Project Engineer you be exposed every facet of construction, allowing you to grow your knowledge base and advance your career at a rapid pace. The work includes modification of existing headworks, construction of new electrical building, construction of new pump station, anoxic basin and aeration basins and installation of all associated equipment. The work also includes construction of new secondary clarifiers, modification of existing chlorine contact chambers, construction of a new dechlorination chemical storage and dosing facility, construction of new mechanical and thickeners. Additional work includes installation of new pond return pumps and recycled water plant (RWTF) feed pumps and installation of RWTF membrane skids and RWTF distribution pumps. Additional tasks include complete site grading, yard piping, vaults (and flow meters), electrical, valving and gates (with actuators), paving, retaining walls, concrete walkways, and other appurtenances.